Prepare Yourself And Your Horse For The Bitter Cold Temperatures. SHELTER – Horses need shelter. Horses that are use to being inside may go out for about two hours at the warmest part of the day. 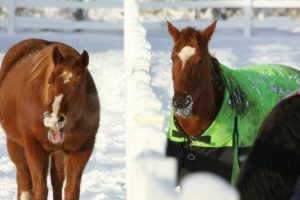 NUTRITION – Cold weather increases your horses metabolic rate. Have dry high quality hay available at all times. Your horse will expend significantly more calories keeping warm. WATER – Horses will drink more water if it is warm and not ice cold. Fluid water must be available at all times. BLANKETS – I recommend a waterproof winter blanket while outside. All blankets should be removed daily for grooming and evaluation of sweat or rub marks.Thin and old horses will benefit from this the most. RIDING – If breathing causes you to cough or irritate your lungs it will likely cause inflammation in your horse also. General rule no exersional riding when ambient temperature is below 20 degrees. 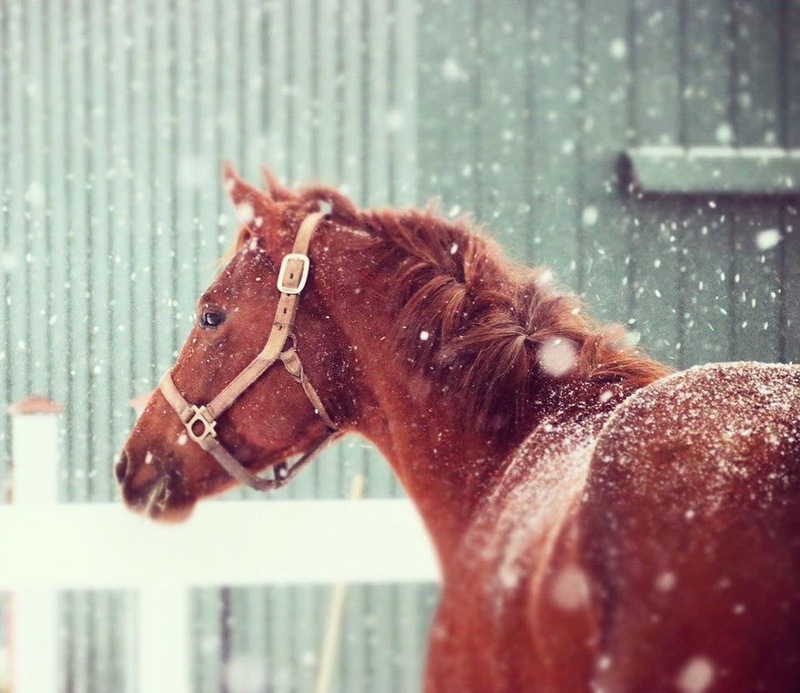 CAREGIVERS – Your horses depend on you to take steps to protect their safety and health during the record low temperatures. Please contact your Veterinarian with specific questions as these guidelines are a generalization. Copyright © 2018 Todd E. Shaarda DVM, PLLC.